One of the Roman Catholic additions to the book of Daniel is Susanna. It's the story of the virtuous and beautiful Jewish wife of a rich man in Babylon. She is approached by two elders who lust after her. They give her a choice: she can either yield to their sexual desires or be falsely accused as an adulteress. She chooses the false accusation and is condemned. A young Daniel protests and cries out against this injustice. In a second trial, the woman is exonerated by Daniel cross-examining the men and exposing their lie. You can read this story here. I thought it would be interesting to take a quick look at some of the extra apocryphal material Roman Catholics say Protestants wrongly excluded from the Bible. Remember, the common complaint is that Protestants don't have writings like Susanna in the Bible because Luther took it out. The doctrines taught in the apocrypha were said to contradict his teachings, so he removed them. Then, the rest of Protestantism followed him like sheep. Of course, Luther did give his reason for not accepting Susanna and the other additions to Daniel: "We have uprooted such cornflowers (because they do not appear in the Hebrew versions of Daniel...)". But he translated it anyway and included it in his Bible saying, "﻿And yet, to keep them from perishing, we have put them here in a kind of special little spice garden or flower bed since much that is good..." For Luther, Susanna "seem[ed] like beautiful religious fiction." If someone wanted to use it, Luther said "it can all be easily interpreted in terms of the state, the home, or the devout company of the faithful" [LW 35:353]. Luther being consistent with this either quotes or refers to Susanna in LW 11:112; 12:201; 18:330; 37:322; 44:223. That's outrageous isn't it? No not really. "The history of Susanna is certainly a Greek original, as was inferred by Julius Africanus and Porphyry from plays on words possible only in Greek" [source]. "Jerome places it at the end of Daniel, with a notice that it is not found in the Hebrew Bible" [source]. When it comes right down to it, Susanna is left out of the Bible because it appears to be a later addition to Daniel. It's questioned by Protestants on historical and textual grounds. It wasn't part of the Hebrew Bible. It's a later addition written in Greek, not Hebrew. "On the History of Susanna there is an interesting correspondence between Julius Africanus and Origen, in which the former denies the genuineness of the story and the latter defends it" [source]. You can read that debate here. Africanus notes similar textual problems expressed by Jerome above, as well as inconsistencies within the story itself. His letter is a quick read. But probably to this you will say, Why then is the “History” not in their Daniel, if, as you say, their wise men hand down by tradition such stories? The answer is, that they hid from the knowledge of the people as many of the passages which contained any scandal against the elders, rulers, and judges, as they could, some of which have been preserved in uncanonical writings (Apocrypha). Origen goes on to describe those Jews that hid the books as "the rulers of Sodom." Schaff states, "Origen tried at great length to refute these objections, and one of his arguments is that it would be degrading to Christians to go begging to the Jews for the unadulterated Scriptures" [source]. Roman Catholic apologist Gary Michuta questions "just how many third century Christians Africanus may reasonably be supposed to represent" and that his opinion was based on his own "private study". Couldn't the same be easily said about Origen's view as well? Michuta says Origen's opinion is based on "an appeal to near-universal acceptance in all the churches of God" [Why Catholic Bibles Are Bigger, pp. 91-92]. Simply because the church read Susanna, doesn't make it canonical. Michuta appears to embrace Origen's argument that "it is an offense against God to consider that the Jews, who rejected Christ, could somehow have preserved the true collection in pristine purity over and against the Spirit-filled Church" [Ibid. p.90]. A response to both Origen and Michuta was given by Paul in Romans 3: Then what advantage has the Jew? Or what is the benefit of circumcision? Great in every respect. First of all, that they were entrusted with the oracles of God. 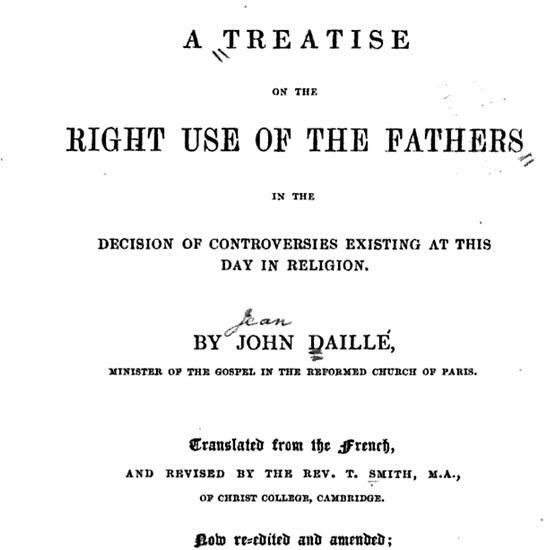 "whatever may be thought concerning these literary or historical questions [about the extra-chapters of Daniel], there cannot be the least doubt that in decreeing the sacred and canonical character of these fragments the Council of Trent proclaimed the ancient and morally unanimous belief of the Church of God" [The Catholic Encyclopedia]. That really is the bottom line- when it comes right down to it, the reason Susanna is part of Daniel in a Roman Catholic Bible is because Trent infallibly said so. The Protestant takes Romans 3 quite seriously. The Jews were entrusted with the oracles of God. Their Bible does not have Susanna. Linguistic problems show the book was not of Hebrew origin, but Greek. It was a later addition to the text, rejected by the Jews. Well, yes, many things are “said.” But it’s up to those who “say” things to prove them; it’s also for those who have things *said* about them to argue against them. Pseudonymity: Works that are falsely named. Pseudipigraphy: Works that are falsely attributed. Literary Forgeries: Works written or modified with the intent to deceive. Anonymity: No formal claim is made to authorship (e.g., Matthew, John, and Hebrews are all anonymous). So, even though some New Testament writings are said to be pseudepigraphical (and that case is not proven, it is clear that many scholars consider all of the potentially pseudepigraphical works in the NT to be authentic, on a case-by-case basis, there is very good attestation for each of the individual books. The Pastoral Epistles (1 and 2 Timothy and Titus): While these are held by some to have been written pseudonymously, according to Thomas Schreiner, recent commentators who have defended their authenticity include J.N.D. Kelly, Joachim Jeremias, Donald Guthrie, Gordon Fee, George Knight III, Philip Towner, L.T. Johnson, and William Mounce. 2 Peter: According to Scrheiner, “if one were inclined to doubt the authenticity of any letter in the New Testament, it would be 2 Peter. … Indeed, Petrine authorship is still the most credible position,” and he begins with 16 pages of analysis to say why this letter is authentic (260-276). Some of what I’m about to cite from Carson and Moo has a direct relation to the process of canonization, that is, determining whether or not a writing was to be included in the Canon of the New Testament. “About the middle of the second century AD, pseudonymous Christian works began to multiply, often associated with a great Christian leader. We are not here concerned with works that purport to tell us about esteemed Christian figures without making claims as to authorship, but only with those that are clearly pseudepigraphical. Some of these are apocalypses (e.g., the Apocalypse of Peter, the Apocalypse of Paul); some are gospels (e.g., Gospel of Peter, Gospel of Thomas, which is really no gospel at all, but mostly a collection of sayings attributed to Jesus). Several are letters claiming to be written by Paul: 3 Corinthians, Epistle to the Alexandrians, Epistle to the Laodicians. The latter was almost certainly written to provide the document mentioned in Colossians 4:16. It is a brief and rough compilation of Pauline phrases and passages (primarily from Philippians). The largest collection of pseudonymous epistles from the early period of the church’s history is the set of fourteen letters fo correspondence between the apostle Paul and Seneca. They are referred to by both Jerome (De vir. ill. 12) and Augustine (Epist. 153). The Muratorian Canon (c. AD 170-200) refers to the Epistle to the Alexandrians and the Epistle to the Laodiceans as “both forged in Paul’s name (Mur. Can. 64-65) and thus will not allow them to be included (“Introduction to the New Testament,” 341). Paul specifically criticized false writings in his name in 2 Thess 2:2 and ensured the authenticity of the letter in 2 Thess 3:17. The author of Acts of Paul and Thecla was defrocked as bishop even though he wrote out of love for Paul (Tertullian, De Bapt. 17). In addition, Gospel of Peter was rejected in A.D. 180 in Antioch because the author claimed to be Peter and was not. Serapion the bishop said, “For our part, brethren, we both receive Peter and the other apostles as Christs, but the writings which falsely bear their names we reject, as men of experience, knowing that such were not handed down to us” (Eusebius, Hist. Eccl. 6.12.1-6). Evidence that early Christians accepted pseudepigraphic documents as authoritative Scripture is completely lacking. Some argue that Acts of Paul and Thecla and Gospel of Peter were only rejected for deviant teaching, not for pseudepigraphy. But both of the texts [cited] say otherwise, specifically indicting the writers for falsely ascribing the writings to another. (Schreiner, 270-271). Carson and Moo say, "all sides agree ... that pseudepigraphy was common in the ancient world." They also cite Donelson, saying "No one ever seems to have accepted a document as religiously and philosophically prescriptive which was known to be forged. I do not know a single example." This is virulently the case in early Christian circles" (342). Admittedly, the information that I’ve provided here is not a complete survey. But I wanted to give a start, some places to follow up with, and to provide examples of the integrity that went into the protection of the New Testament Scriptures. For any of you young and devout Reformed and Evangelical seminarians who are inclined, I think this information provides a starting point for an excellent thesis. Here's an interesting related blog: Rentapriest- A conversation about the married Catholic priesthood and church reform. There's a blog for everyone, that's for sure. I found this blog via Jimmy Akin's recent article: What Do Italian Priests' Mistresses Want You To Know? Based on earlier lists, it is within the realm of possibility that Nehemiah is included in Ezra. Lamentations could be a part of Jeremiah. "Wisdom" is the alternate name for the book of Proverbs (F.F. Bruce: "According to Eusebius, Hegessipus and Irenaeus and many other writers of their day called the Proverbs of Solomon 'the all-virtuous Wisdom'" [F.F. Bruce, The Canon of Scripture (Downers Grove: InterVarsity, 1988), p.71]. Esther: "The four categories of Melito’s list may correspond to the familiar Masoretic division into the Torah, Former Prophets, Latter Prophets and Writings. But if so, the inclusion of the two books of chronicles among the Former Prophets is worthy of comment. If the four books of Kings and the two books of Chronicles are each taken as single categories in Melito’s list the total number of books would be twenty-one, suggesting the possibility that the omission of Esther may be accidental. Origen makes explicit reference to a canon of twenty-two books for the Hebrew Scriptures and then proceeds to list only twenty-one, omitting the book of the Twelve so-called minor prophets. But that omission is clearly an error in the transmission of Origen’s testimony as witnessed by the fact that Rufinus, in his translation of Origen, includes the prophets in question. The restoration of Esther to Melito’s list would produce a list of twenty-two books. Inclusion of Esther within his second category along with Ruth would result in a curious symmetry in the arrangement: 5 + 6//5 + 6. But the same result could also be achieved with the omission of Esther by dividing his category of the “four books of Kings” into the more familiar canonical categories of the books of Samuel and Kings, which is more likely. Melito is apparently not concerned with the number twenty-two as an organizing principle for the canon of Hebrew Scripture. And though his four categories may reflect the fourfold arrangement of Masoretic tradition, his distribution of Ruth, Chronicles, Daniel and Ezra among the Prophets suggests another conclusion. The Writings as a division of the canon of Hebrew Scripture was in flux. The reason for this state of affairs may be the book of Esther" [Duane L. Christensen, "Josephus And The Twenty-Two-Book Canon Of Sacred Scripture" Journal of the Evangelical Theological Society Volume 29 (29:41]). "We ought to take a closer look at Melito's list, as well, before moving on. A moments reflection reveals that it does not line up with the protestant canon at all. It omits the books of Lamentations, Nehemiah, and Esther - and includes the Book of Wisdom. Even if Lamentations and Nehemiah are present, as some have argued, under the other titles broadly defined, the omission of Esther remains unaccountable. We do know that there were disputes among rabbis in this area concerning Esther's inspired status. Melito's list, therefore, is not identical to the Protestant canon" (Why Catholic Bibles Are Bigger, pp. 75-76]. Michuta's opinion seems to be based on an uneven scale when he says the Protestant canon does not line up to Melito's "at all." It certainly does, especially if one compares Melito's canon to that dogmatized by Trent. Michuta also has no clear factual evidence that Lamentations and Nehemiah were not included in other books. Granted, the burden of proof lies on those who claim they do, however, based on previous ways the books were counted in earlier lists,this suggestion is not far-fetched. Michuta even quotes F.F. Bruce on the Wisdom/Proverbs solution, but leaves out Bruce's evidence from church history affirming this solution. True, Esther is missing, but it is common knowledge that the book of Esther was considered antilegomena: a book previously disputed but ultimately considered canonical. Therefore, the book of Esther is simply proving that there were in fact those who doubted its canonicty, both within Judaism and the church. In other words, Esther is living up to its pedigree of antilegomena. So in essence, the Protestant canon lines up with Melito's with the exception of one book. The Roman Catholic Old Testament canon pales in comparison. There's really only one response to Melito's exclusion of the Apocrypha. Roman Catholics typically question Melito's integrity: why would Melito go to Palestine for information about the canon when excavations have revealed there was a Jewish population and temple in his immediate area? Some counter that there could have been tension with the Jews or extenuating circumstances provoking Melito's journey. Roman Catholics respond that despite antagonism between Jews and Christians, dialogues did still go on during that time period. William Webster speculates Melito's list came from a Christian Church near Palestine- thus Melito's list reflects "a Christian perspective and a consciousness of the Hebrew numeration and canon" (Holy Scripture vol. II, p. 336]. "you [Onesimus] have been desirous to obtain an accurate account of the ancient books, both as to their number and their order; I have taken pains to accomplish this, knowing your earnestness in respect to the faith, and your desire for instruction in regard to the word; and most of all, that you, while striving after eternal salvation, through desires after God, give a preference to these things. Making a journey therefore into the east [Palestine], and having arrived at the place where these things [i. e. scriptural events] were proclaimed and transacted, I there learned accurately the books of the Old Testament, which I here arrange and transmit to you." We are continuing our series on Whitaker's Disputations. This post will look at Stapleton's second argument defending the assertion that we need the Church, specifically the Catholic Magisterium, to identify the canon for Christians, and that this identification gives the Church the most "certain" authority possible. P1 The canon cannot be discerned by appealing to style, phraseology and other criteria without the additional judgment of the Magisterium. P2 The Magisterium knows best how to judge style, phraseology and other criteria. C1 Therefore, we need the Magisterium to identify the canon. 1. The point is well-received. If the Church gives us the canon and we cannot come to know it any other way, what of it? How does it logically follow that the Church is now the most authoritative body in the life of the believer? How does it follow that we should now submit our interpretations of Scripture to the Magisterium? 2. It is also instructive for Whitaker to remind us that however the Church gains knowledge of the canon, laypersons should also have access to those means. If the Church identifies the canon through historical inquiry, why are we not allowed to engage the same texts with the same tools and come to the same conclusions independently? What, specifically, is it about the Magisterium that allows it identify the canon? Should the methods and reasons used to arrive at this knowledge remain inaccessible to everyone outside of the Magisterium? It's not obvious why this should be the case. If Athanasius was able to identify the canon without recourse to the determination of the Magisterium, why are Protestant Christians any different? 1. William Whitaker, Disputations, 286-287. 4. Athanasius, Festal Letter 39. You said: "Irenaeus was clearly wrong when he said that Peter and Paul founded the church at Rome." According to who? Liberal scholars (who want to discredit the Christian faith and Bible as much as possible) or traditional minded (faithful) Catholic scholars and historical appeals to Irenaeus by Catholic documents? I could toss liberal Protestant Scholars at you who discredit the Bible and claim "factual errors" on your part. In other words, the liberals are so sneaky that they discredit any given doctrine in any way they can while still "believing" in the doctrine so as to attempt to avoid guilt. The Raymond Brown quote above is a beautiful example of this, where he attempted to smear and discredit the traditional Christian notion that St Paul wrote Ephesians, and he did so with the overall goal of smearing the Bible as likely tampered with. Why are these "liberal Catholic scholars" Catholic? If they're scholars and they write and get read by churchmen and aren't roundly refuted by the RCC, then why shouldn't I put a lot more faith in them than in you, anonymous blogger layman? Who the heck are you, exactly? And isn't the Magisterium shrewd enough to figger that out? Why not do sthg about it? Why does the task fall to you? Who the heck are you, again? "St. Anthony Messenger Press Publisher Jeremy Harrington, O.F.M., said, "Raymond Brown reached scholars, religious educators and clergy with his academic books, but in his zeal he wanted to reach more: the people in the pew who hungered for a greater understanding of the Bible. We were honored that a scholar of his stature would write for a popular audience. "Brown once commented that Catholic Update and St. Anthony Messenger reached hundreds of thousands, more than his books. He also reached that wider audience through Scripture From Scratch and the paperback books that he wrote for St. Anthony Messenger Press. He was a joy to work with. Some authors resist any suggestions, but Brown was open to ideas and editing. He was a gracious man and a brilliant scholar who knew the fruits of his labor were for everyone." And then...on the other side...there's Nick. Ah yes, Nick, who has been appointed a member of the Pontifical Biblical Commission...zero times. Is an INfrequent contributor to Catholic Update. Is NOT a priest. Is NOT a professor of Biblical Studies, at any university or seminary. Has written...zero books. I've yet to see any Protestant around here appeal to any given Church Father as "one of their own"
Ah true. FAR better to express fantastically incorrect views about a CF than to hold a realistic view that actually fits the evidence! How silly of me! You didn't read the "where I put it all together" post, did you? Please do, and don't come back till you do. Epiphanius maintains against Aerius,of whom he ranks among the Heresiarchs, that a bishop, according to the Apostle Paul, and the original institution of the office itself, is more than a priest: and this he proves in many words, answering all the objections that are made to the contrary. If you only read the passage, I am confident that when you have done, you would not hesitate to swear that what he has there delivered, was the general opinion of all the doctors of the Church; it being very unlikely that so great and so renowned a prelate would so positively have denied the opinion which he disputed against, if any one of his own familiar friends had also maintained the same. Yet for all this, Jerome, who was one of the principal lights of our western Church, and who lived at the same time with Epiphanius, who was his intimate friend, and a great admirer of his piety, says expressly, "that among the ancients, bishops and priests were the same; the one being a name of dignity, and the other of age." 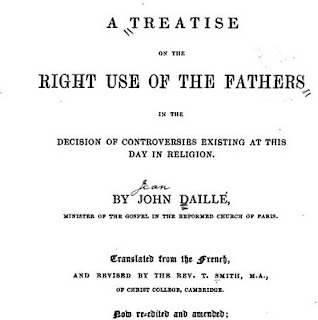 That it may not be thought that this fell from him in discourse only, he there undertakes to prove the same at large, alleging several passages of Scripture on this subject; and he also repeats the same thing, in two or three several places of his work; whereby it evidently appears that even positions quite contradictory to the opinions which have been delivered and maintained by some of the Fathers, and proposed in whatever terms, have notwithstanding been sometimes either maintained, or at least tolerated, by some others of no less authority. Who knows now what these bishops were, and whether they deserved any such usage at Jerome's hands or no? For the expressions which he uses against them, and against their opinions, are so full of gall and enmity, that they utterly take away all credit from his testimony. But we have insisted long enough upon this particular, and shall therefore forbear to instance any further in others. VATICAN CITY, MAY 26, 2010 (Zenit.org).- The Pope cannot do whatever he wants, and instead must obey Christ and his Church, Benedict XVI says. "He clarified that "even the Pope -- point of reference for all the other pastors and for the communion of the Church -- cannot do what he wants; on the contrary, the Pope is custodian of the obedience to Christ, to his word taken up again in the 'regula fidei,' in the Creed of the Church, and must proceed in obedience to Christ and to his Church." "This is another book not to be found in the Hebrew Bible.﻿﻿ Yet its words and speech adhere to the same style as the other books of sacred Scripture. This book would not have been unworthy of a place among them, because it is very necessary and helpful for an understanding of chapter 11 of the prophet Daniel." Ok, so far what I've got is that some Protestants agree that Luther removed books, some don't. I still dont know the reason for the other books being removed... But the big point is, he was still a MAN who decided to mess with the bible, by removing books that were there for hundreds of years because he personally didnt like them in there. And by doing that, if you think about it, it would be accusing God, who is perfect, who inspired the bible writers to be a liar. Remember, Luther's Bible contains the Apocrypha. The books were not removed.Recently on Catholic Answers Fr. Sebastian Walshe addressed the topic Can Doctrine Develop? Fr. Walshe explained that previous to Trent's infallible declaration, there was uncertainty about which books were canonical. Fr. Walshe also briefly discussed the Apocrypha. Walshe admits there was indeed controversy in the church as to its status. It simply isn't the case that the church unanimously accepted these books early on and that Luther removed them.Walshe also says that Thomas Aquinas was not certain if the books of Maccabees should be considered part of canonical Scripture. That is, Aquinas didn't know one way or the other if the books of Maccabees were part of the canon because the church had yet to determine the status of these books. 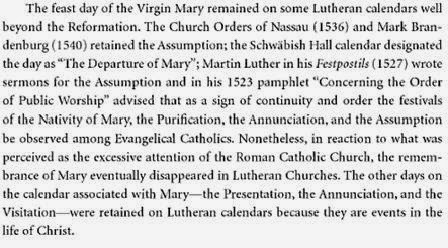 In fact, there were quite a number of people previous to Luther that doubted the full canonicity of the Apocrypha. Even one of the best Roman Catholic contemporaries of Luther, Cardinal Cajetan, held a similar view as Luther did on the status of the Apocrypha. There was even a group of very well respected Roman Catholic scholars at Trent that argued against including the Apocrypha as fully canonical. Martin Luther chose the Hebrew version out of convenience because it got rid of some of the support for the doctrine of Purgatory, with which he disagreed. I've done a fair amount of looking for proof for this claim. If you've got proof, I'd be interested in seeing it.The best argument so far is that put forth by Gary Michuta. In his book, Why Catholic Bibles Are Bigger Michuta argues it was at the Leipzig debate in which Eck cornered Luther into rejecting Maccabees because it taught the doctrine of purgatory. A major problem though with Michuta's position is that Luther went into this debate with Eck affirming the reality of Purgatory (though with reservations). So the typical Catholic argument that Luther had to deny the canonicity of 2 Maccabees at Leipzig in order to maintain his belief in the non-existence of purgatory fails.The fact of the matter is, Luther rejected the canonicty of 2 Maccabees for the reasons I posted earlier, as he himself explained. The thing is, as I have stated before, Martin Luther and any other MAN, even Saint Thomas Aquinas or any other Catholic, who happend to disagree with what the bible was teaching should never have removed or changed anything, for it was their own OPINIONS. It wasn't until 1500 years later, when the reformation began,when the bible was really looked upon. Because in the years before that, everyone agreed with what it had to teach, and the Church established and finalzied the canonization what books were inspired and in how they were to be put. So Nothing was ever changed. Because God Himself states In Revelation 22:18-9 " For I testify unto every man that heareth the words of the prophecy of this book, If any man shall add unto these things, God shall add unto him the plagues that are written in this book: And if any man SHALL TAKE AWAY from the words of the book of this prophecy, God shall take away his part out of the book of life, and out of the holy city, and [from] the things which are written in this book." And history even shows that Martin Luther considered removing the book of Revelation. And he also added the word Alone. To Pauls statement.If you open a Protestant Bible it is missing 7 BOOKS. It is a fact. I have read over and over that it was Martin Luther who took them out. You are saying that he didn't. If he didn't than who did? Please tell me that. And it still bothers me that no one has explained to me, if indulgences was his gripe, then why did he take away the true presence of Chirst? Body, Blood, Soul and divinity in the Eucharist.EVERY SINGLE EARLY CHURCH FATHER, if you read their writings, have complete Catholic Teachings. They were ALL Catholic. This is becoming more complicated then it is. The fact is, The Catholic Church had the Bible established in 382AD and when the reformers decided to rebell in the 1500s the bible as we knew it was changed by removing books, and changing wording. Which is against Gods own words. Remember again, Luther never removed the Apocrypha, nor did Thomas Aquinas. Previous to the 16th Century, there was not an infallibly defined canon for the Roman Catholic Church. Previous to such dogmatic declaration, freedom was allowed to hold differing views on the Apocrypha. That's why you'll find a significant amount of people that held differing views on the apocrypha previous to Trent. In keeping with early an Christian tradition, Luther included the Apocrypha of the Old Testament saying, "These books are not held equal to the Scriptures, but are useful and good to read." You said, "It wasn't until 1500 years later, when the reformation began,when the bible was really looked upon. Because in the years before that, everyone agreed with what it had to teach, and the Church established and finalzied the canonization what books were inspired and in how they were to be put. So Nothing was ever changed." That's simply historically inaccurate. Everyone did not agree on the canon that was later dogmatized by Trent. You said, "If you open a Protestant Bible it is missing 7 BOOKS. It is a fact. I have read over and over that it was Martin Luther who took them out. You are saying that he didn't. If he didn't than who did? Please tell me that." Actually, Trent erroneously gave the Apocrypha full canonical status. Previous to that time, the books were included in copies of the Bible, but often not treated with the same pedigree. Roman Catholic apologist Gary Michuta argues the Puritans fought to have the Apocrypha removed from Bible printings. He says the 1559 Geneva Bible removed the books, but left blank pages in their place. However, the 1611 edition of the King James version did include the Apocrypha, and including it was more the norm. By the 1700's pressure was building to have the books removed completely. In the 1800's various Bible societies looking to mass-print the Bible kept the apocrypha out. You said, "This is becoming more complicated then it is. The fact is, The Catholic Church had the Bible established in 382AD and when the reformers decided to rebell in the 1500s the bible as we knew it was changed by removing books, and changing wording. Which is against Gods own words." This isn't true either. We could go back and forth quoting Catholic and Protestant lines, but the point that keeps being ignored is this, The Church DID have the same bible from 382 until the reformers. Many people may have disagreed but the Church had the final say. When the Reformers rebelled then and only then did the bible lose the 7 books. If it wasn't Luther then Who was it???? You are saying that Luther and a bunch of other scholars didn't feel that they were inspired, so they ALL agreed to remove them. So now, here we are back to where Papal Authority is being challenged, which is where Lutherism came in. So I guess this is ancient old arguments. I still feel that the bible, which was in place and no one challenged because of Divine inspiration, was messed with by mere men. You originally presented an inaccurate question. Luther didn't remove books from the Bible. If you want to know Luther's opinions on the Apocryphal books, you can find his opinion on the Apocrypha in Luther's Works vol. 35. If you'd like a copy the pages in which Luther discusses these books, I can e-mail it to you. He comments on the books, typically giving historical reasons why he didn't find them fully canonical, but useful to read. He even quotes them throughout his writings. The Roman Church did not infallibly declare the same contents of the Bible as it had in the fourth century in non-ecumenical councils. I suggest doing some study into the Esdras problem. Hippo and Carthage include a book as canonical that (as Michuta argues) Trent later passed over in silence. The other main area of discussion is how the church viewed the apocryphal books. Simply having them printed in the Bible doesn't necessarily mean they were treated with same canonical status by the church collectively. They were not. As you mentioned, the basic issue comes down to authority. Roman Catholics claim the apocrypha was fully canonical because they are dogmatically required to believe this. On the other hand, Protestants say Trent fully canonized 7 books they should not have. The argument then gets played out in the field of history. I'm convinced that Trent erred, and that's what the facts of history show. Roman Catholics then present their historical evidence. This thread will then expand to about 25 pages, and whoever has the most time to keep going usually claims to be the winner. I typically don't have the energy to go 25 pages. I happen to have some free time today though. You then asked me the same question I answered previously: "When the Reformers rebelled then and only then did the bible lose the 7 books. If it wasn't Luther then Who was it????" I answered that. Scroll back up, and re-read the argument I presented from Roman Catholic apologist Gary Michuta. The Reformers treated the Apocrypha as did many in the centuries preceding them: These books are not held equal to the Scriptures, but are useful and good to read. By the 18th century, various Bible societies doing mass printings of the Bible removed those books from their printings. This is according to Mr. Michuta's research. Great questions though- and I hope I've been able to present the "other side" in a helpful way. I still find it difficult to understand why people would want to follow mere men that started their own churches and made their own rules. People can argue back and forth about who was right about this and that but it still comes down to the fact that The Catholic Church was there from the beginning and still is. Pride and selfishness seem to be the reason. To rebel against the Church Jesus Chirst established, in my eyes, is saying that Jesus is a liar since " The Gates of Hell will not prevail against it." J. Gresham Machen said, in his 1915 lecture "History and Faith," that "The student of the New Testament should be primarily an historian." And in fact, thanks to the last few centuries' worth of historical criticism, and a couple of “historical Jesus” quests, both the life of Jesus and the history of the New Testament have undergone a thorough historical examination, and in the process, have only had their historical reliability enhanced. How was it "faithfully developed"? In the first place, some Catholics will say that it is no contradiction that this "immediate" and "perpetual" power nevertheless had to "develop." But I am writing to individuals who, able to read and think, will easily be able to see the disjunction at this point. Irenaeus thought that the Church had been 'founded and organised at Rome by the two glorious Apostles, Peter and Paul,' and that its faith had been reliably passed down to posterity by an unbroken succession of bishops, the first of them chosen and consecrated by the Apostles themselves. He named the bishops who had succeeded the Apostles, in the process providing us with the earliest surviving list of the popes -- Linus, Anacletus, Clement, Evaristus, Alexander, Sixtus, and so on down to Irenaeus' contemporary and friend Eleutherius, Bishop of Rome from AD 174 to 189. In a world where history affirms the life of Christ, the testimony of his resurrection, and in which the New Testament has been affirmed as reliable history, and the movements of Paul and the events in his life pinned down to the very year they happened, this same study of history has washed away the underpinnings of the historical papacy. Indications of this can be found in text produced by Christian writers in Rome in the late first and second centuries. The author of the Epistle of Clement may have been the man of this name later described as the person responsible for drafting communications sent on behalf of the Christians of Rome to other churches. But by the time of Tertullian and Irenaeus, Clement was listed as the second or third bishop of Rome. This difference of perspective on Clement is telling. The late-second-century authors were probably reporting a tradition that had grown up in Rome in which leading figures amongst the elders of their day were retrospectively turned into bishops, to produce a continuous list of holders of the office stretching back to Peter. Why this happened can be explained, but it would be helpful to ask which of the people named by Irenaeus and Tertullian should be regarded as the first real bishop of the city. Most scholars now agree that the answer would be Anicetus, who comes in tenth on both lists, and whose episcopate likely covered the years 155 to 166. Carrie's "The Semi-Authoritative Catholic Canon"